corporate gift | Andy Sernovitz | Damn, I Wish I'd Thought of That! Life has been rough lately for home builders. Gibson Design Group got their attention with a nice gift that recognizes their struggles … and the fact that they might need a drink! 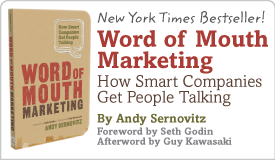 Remember Andy's rule of corporate gifts: If it's not worth talking about, it's not worth sending.